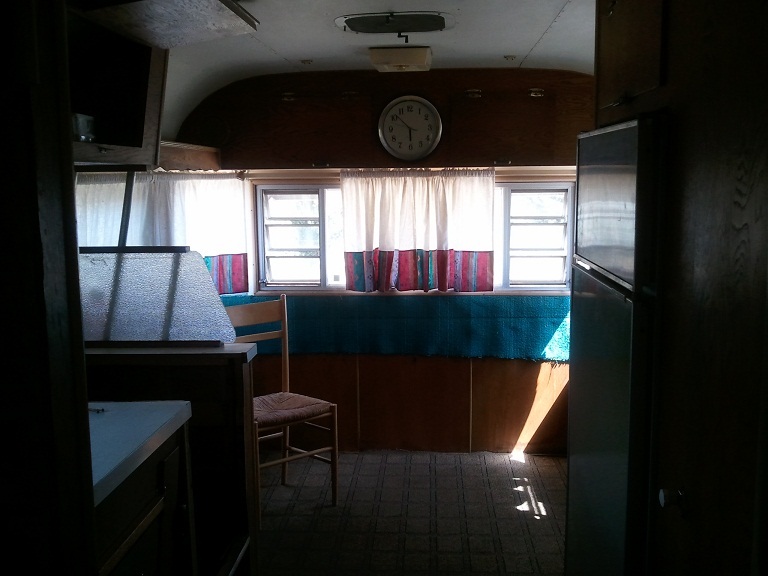 Twice Loved Vintage: Vintage trailer...before! Original wood siding, curtains and lovely turquoise carpet on the sides! 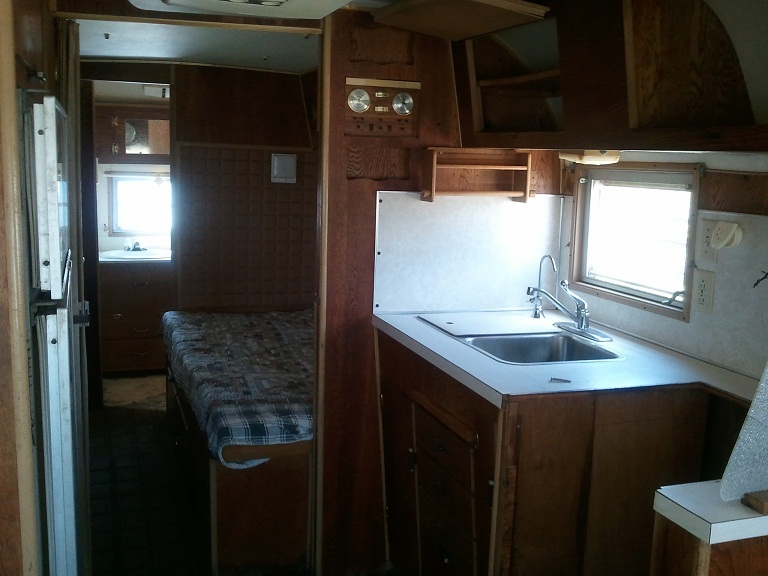 Kitchen (minus the cook stove), bed area and bathroom at the back. We have been working on her for three weeks now, and she is almost ready to reveal! Prepare to be amazed! We can't wait to see what you have done with it.